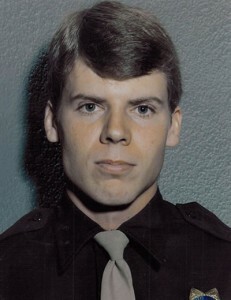 Police Officer Clark Anthony Wooldridge joined the Las Vegas Metropolitan Police Department in August 1978. While responding to a fight and accident call on August 12, 1979, his patrol car collided with another vehicle. He was pinned underneath the vehicle, which had overturned, and subsequently died at the hospital. The fight and accident call that led to this officer’s untimely death turned out to be a false alarm – there was no fight or accident. Officer Wooldridge died at the age of 22 and was survived by his wife of less than 2 years.